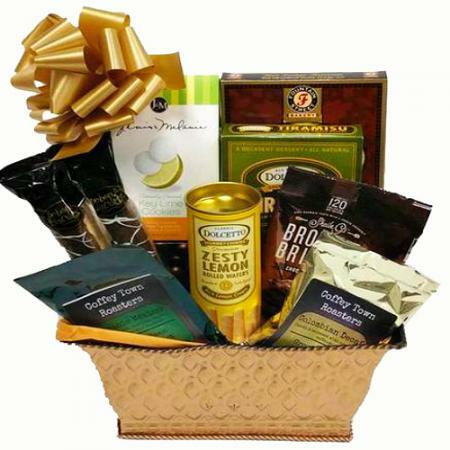 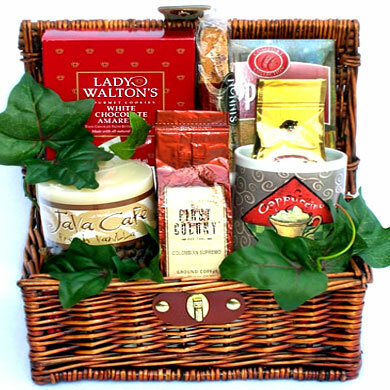 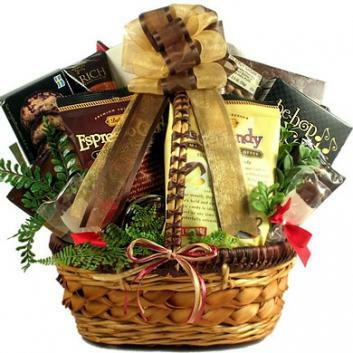 The aromatic coffee scent will greet the recipient as soon as they open this elegant gold coffee gift basket. 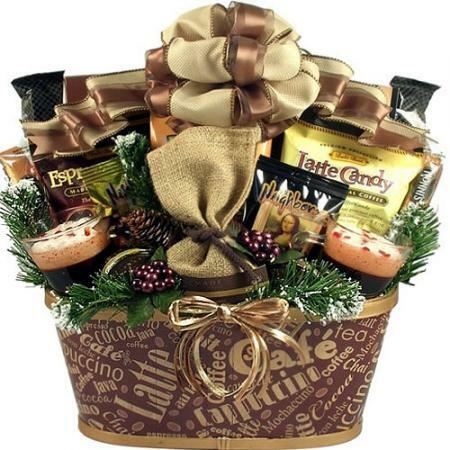 This coffee gift is filled with coffee, tea, and food to enjoy with friends, family or co-workers. 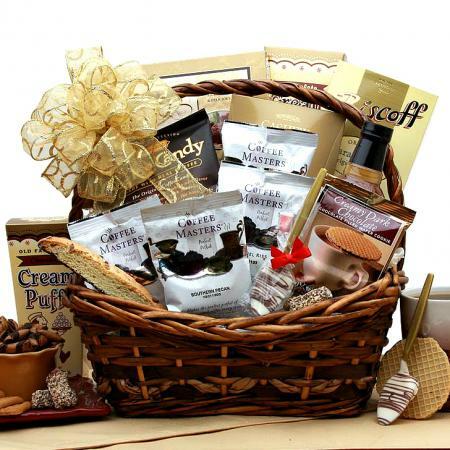 Each flavor is small batch micro-roaster and high quality, single origin 100% Arabica beans. 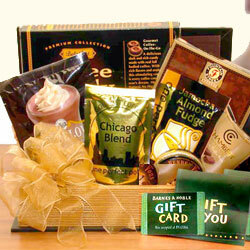 Features four global theme coffee samples from Indonesia, Columbia, Ethiopia, and Mexico. 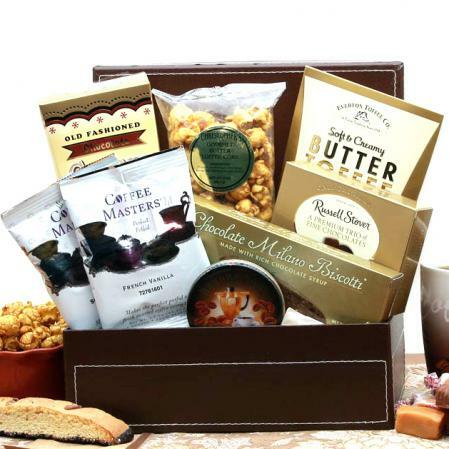 Paired with the coffee are dark chocolate covered coffee beans, Bali's Best espresso candy, and java bean flavored chocolate covered biscotti sticks. The coffee candle is soy based with the scent from the coffee beans making it the best smelling coffee candle. 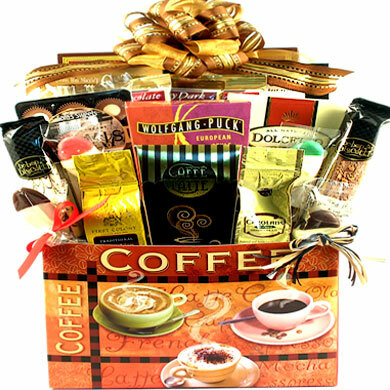 Worldly gift in a gorgeous gold basket gives your favorite coffee lover the chance to enjoy a genuinely gourmet cup of coffee. 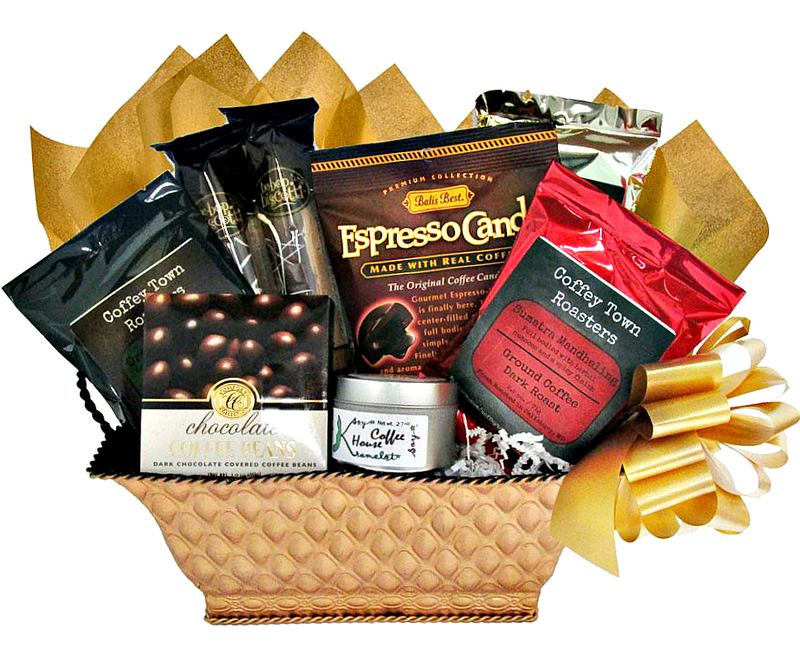 Sophisticated coffee lovers will be impressed with the scents they enjoy upon opening their gift which arrives wrapped in cello and topped with a gold bow.